USE: Use in the shower or in the bath. For best results use with a wet cloth, loofah sponge mitt or soft shower brush. Massage gently all over the entire body. Rinse thoroughly with water. Great to use as a foot exfoliation in a pedicure treatment or as a hand polish. BENEFITS: Applying body polish while bathing or showering gives an incredible new feel to the skin. This multi-functional formula is very effective for parched, rough, and weathered skin. This polish will by remove dead skin on the surface and moisturize the newly revealed surface. 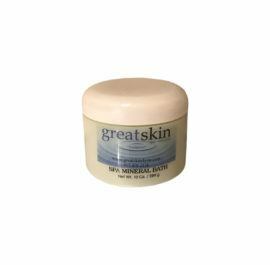 With regular use, this gentle body polish will maintain a smooth and healthy skin texture.